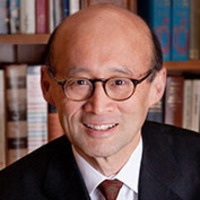 Thomas H. Lee, M.D., M.Sc. Dr. Lee is a practicing internist/cardiologist at Brigham and Women's Hospital and part-time Professor at Harvard Medical School and Harvard School of Public Health. Dr. Lee was previously Network President for Partners Healthcare System in Boston. He serves on the Editorial Board of The New England Journal of Medicine and is the author of four books, including An Epidemic of Empathy in Healthcare. Dr. Lee holds a medical degree from Cornell University Medical College and a master’s degree in epidemiology from the Harvard School of Public Health.